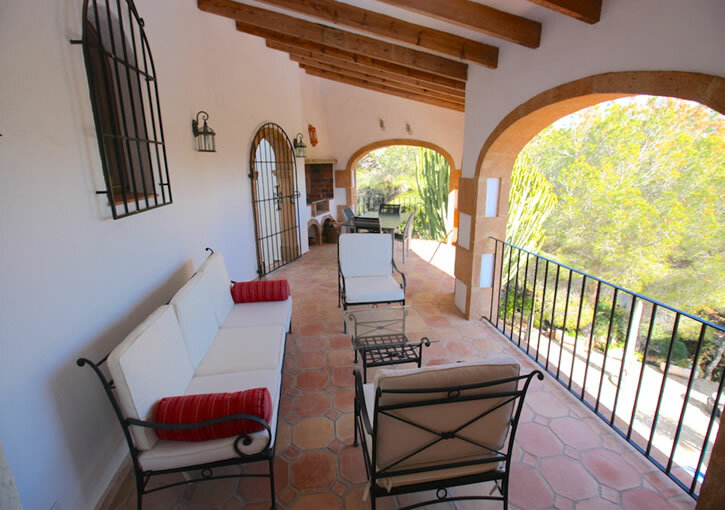 Casa Toscana is a beautiful and very private renovated villa with fantastic South facing panoramic valley views. 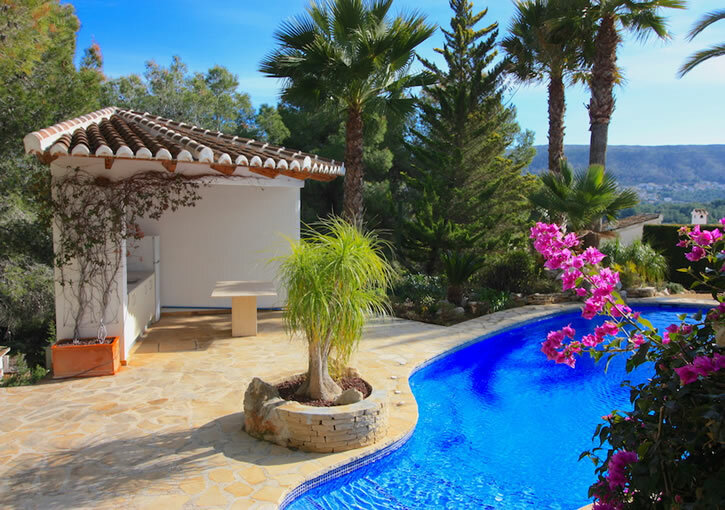 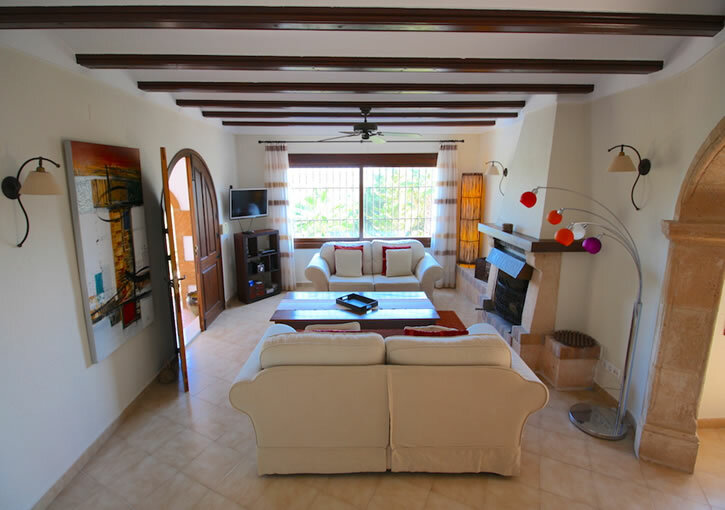 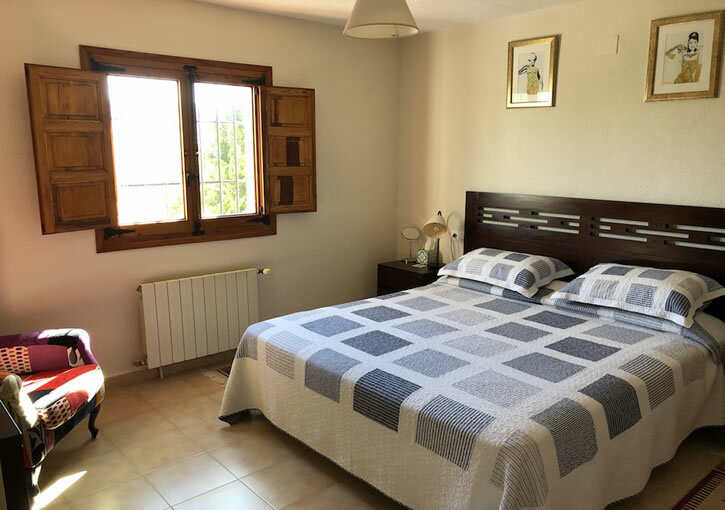 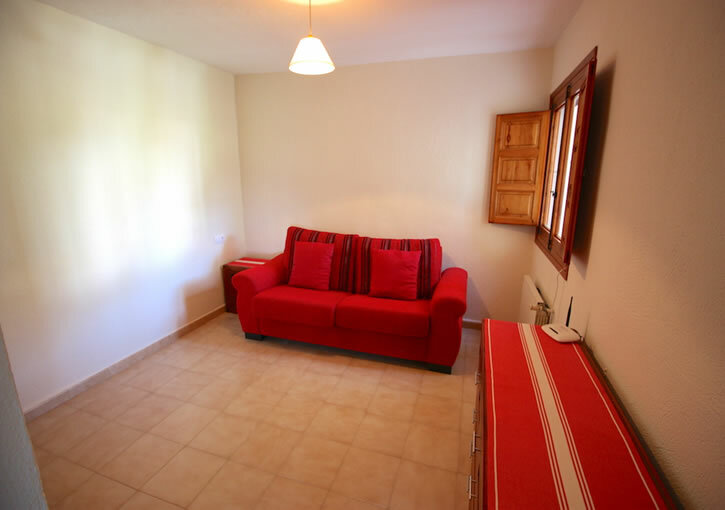 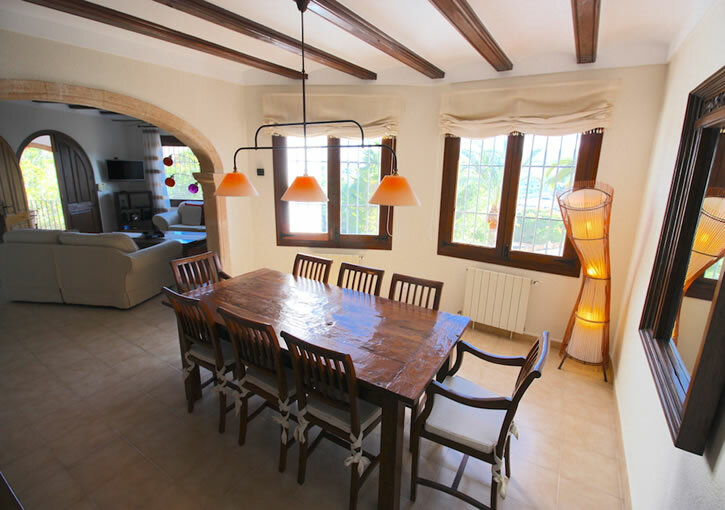 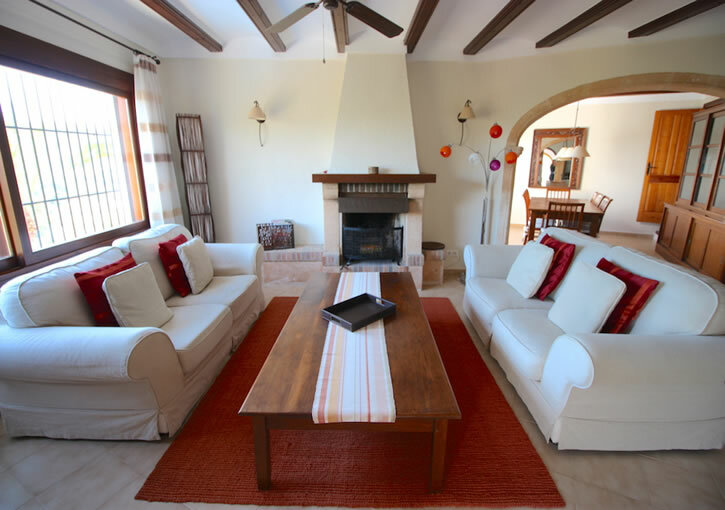 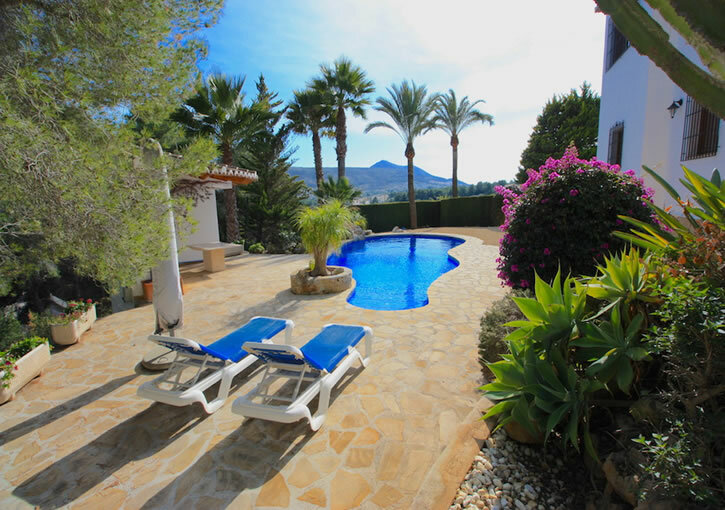 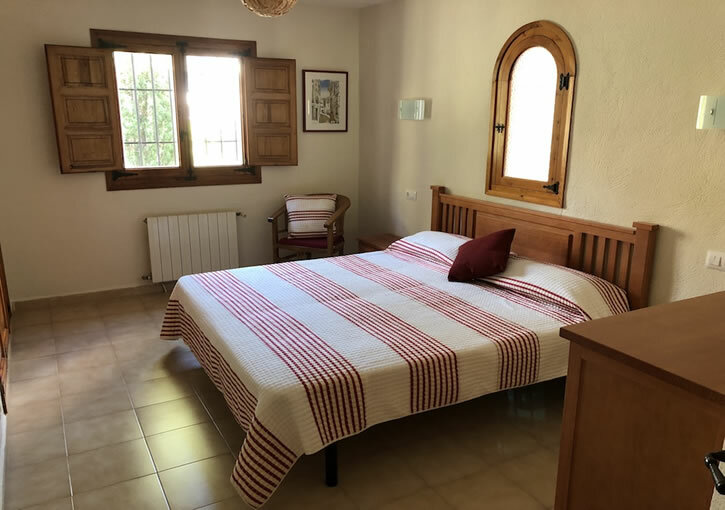 Located in a quiet area of Javea, La Colina, within 5-10 minutes drive to the beach and all amenities. 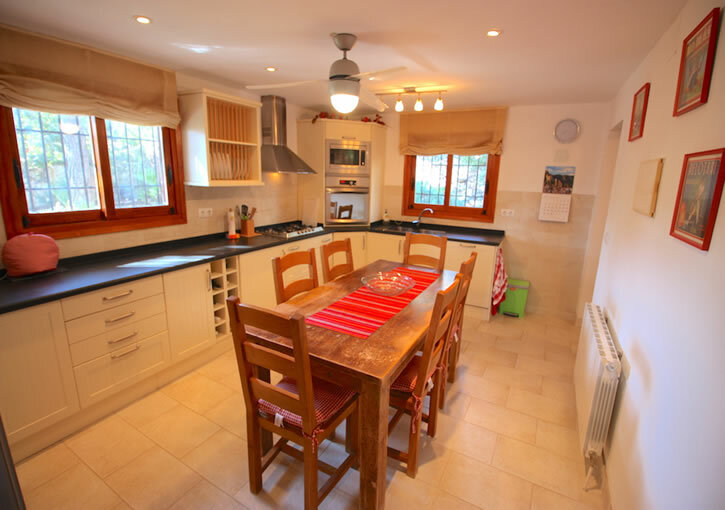 This is a very handsome looking property approached via electric gates to driveway and large closed garage with parking for up to 3 vehicles. 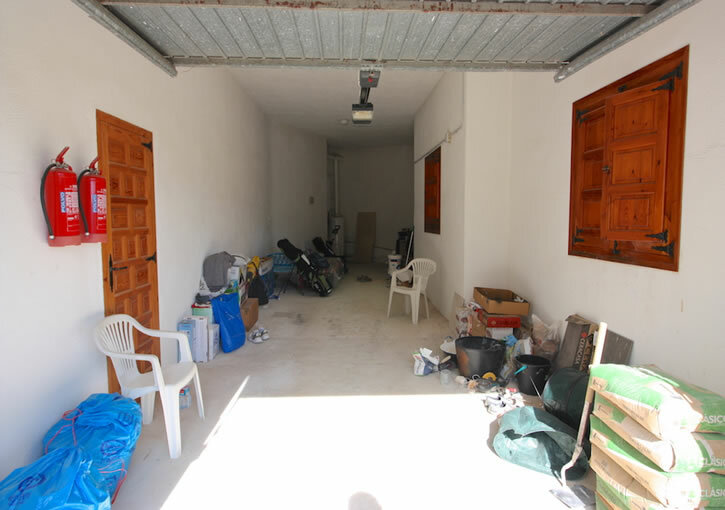 There is potential to develop the garage to further living space if required. 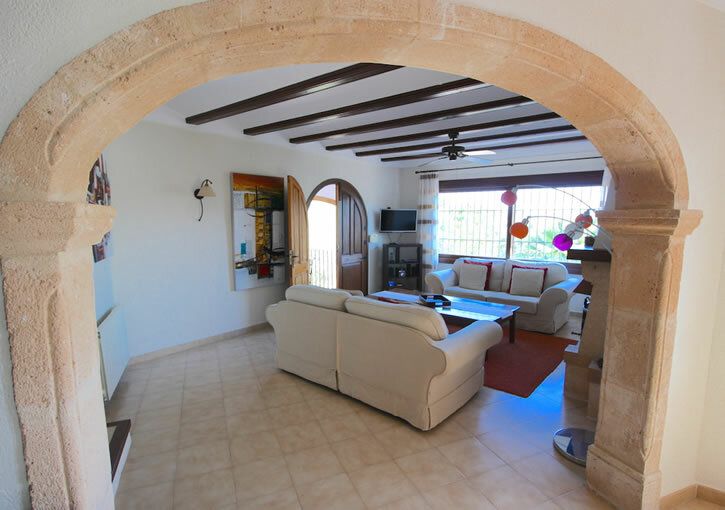 The villa is distributed over one living floor ( the upper part of the property ) and is accessed via steps to entrance porch and hallway. 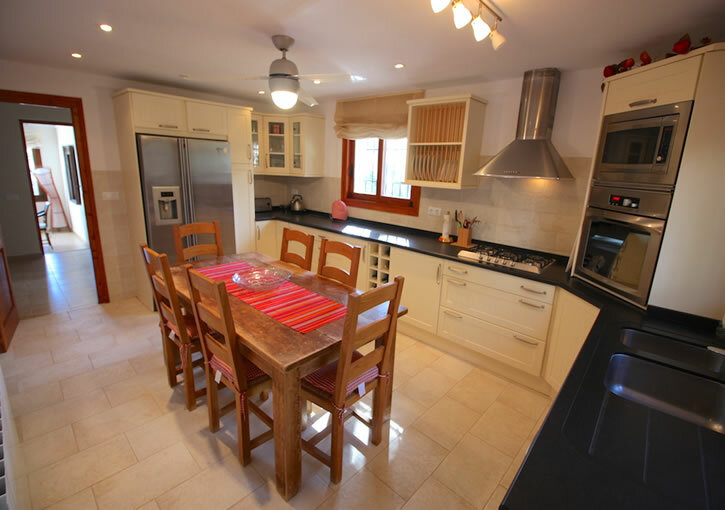 Large family kitchen with modern style units and space for dining + laundry room with access to rear of the villa. 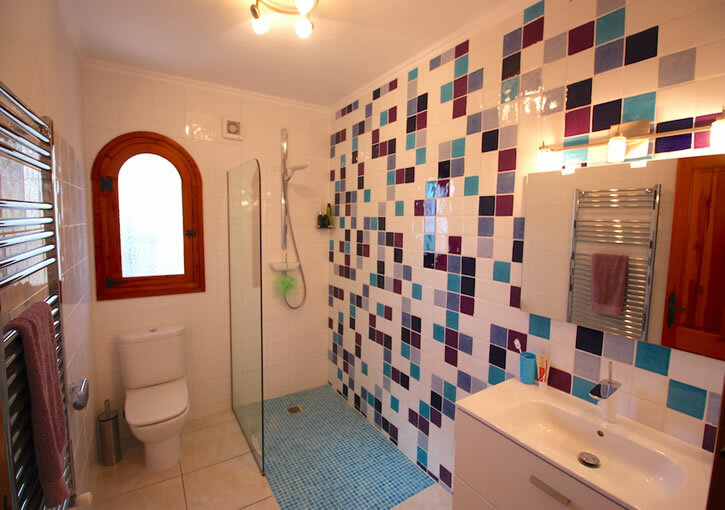 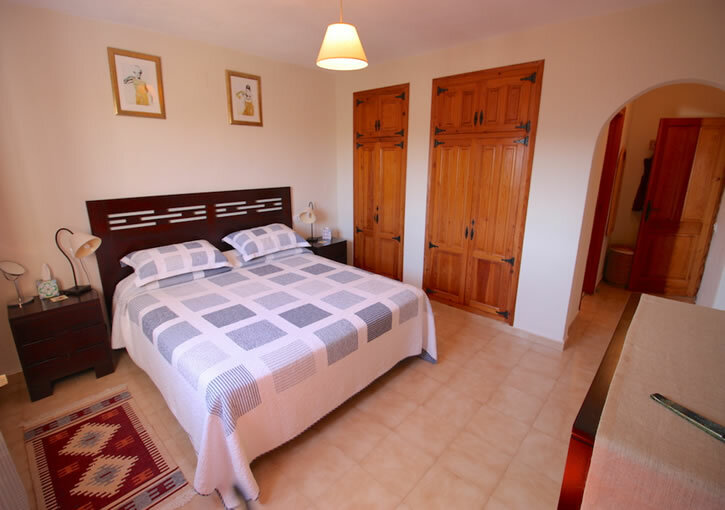 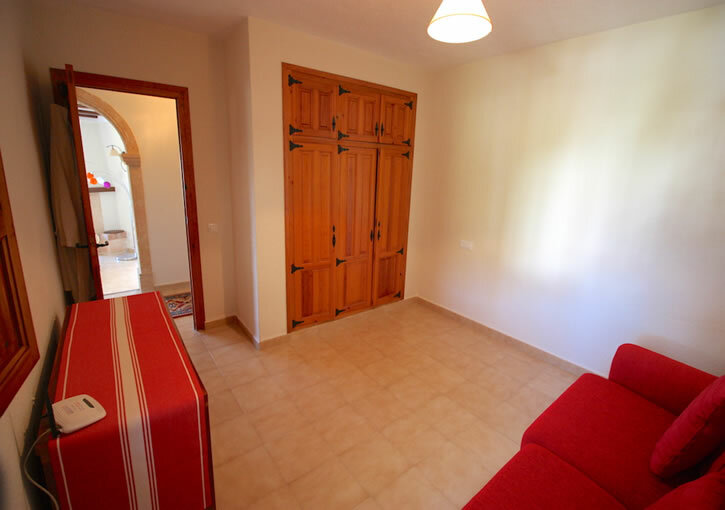 There are 3 bedrooms with fitted wardrobes and 2 renovated bathrooms of which one is en suite. 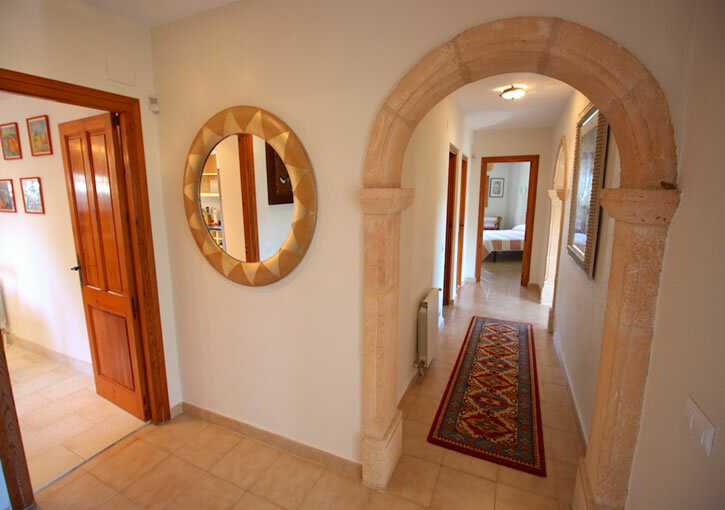 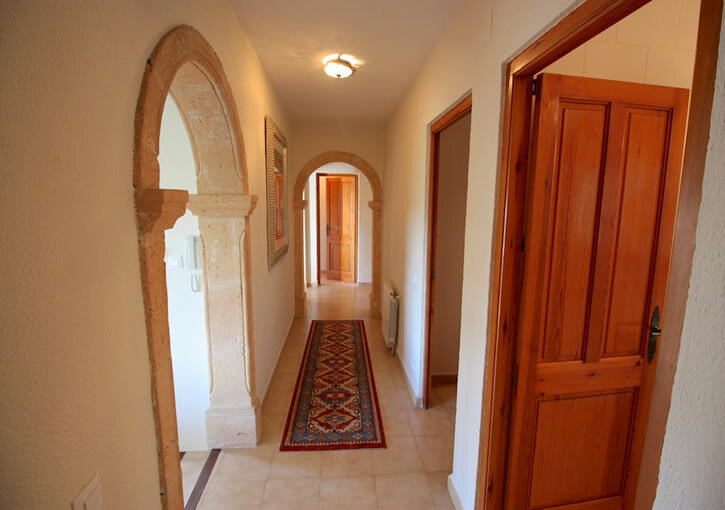 The hallway leads through to a lovely large open plan lounge and dining room with Tosca stone arches, wood beamed ceilings and open fireplace. 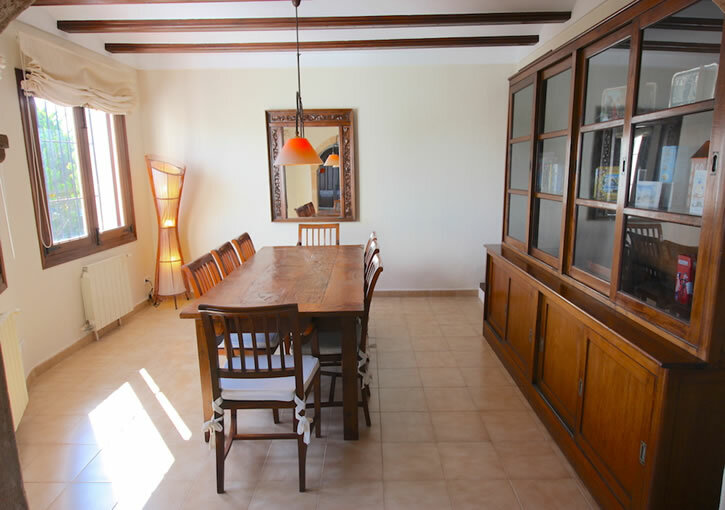 Double wooden doors from the lounge lead to a wonderful naya – perfect for entertaining with ample room for relaxing and dining + a nice BBQ area. 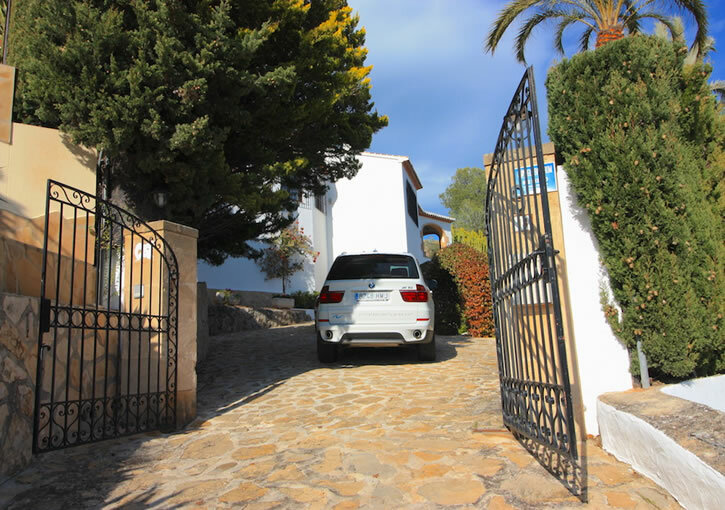 Gated access from the naya takes you downstairs to the gardens and pool area. 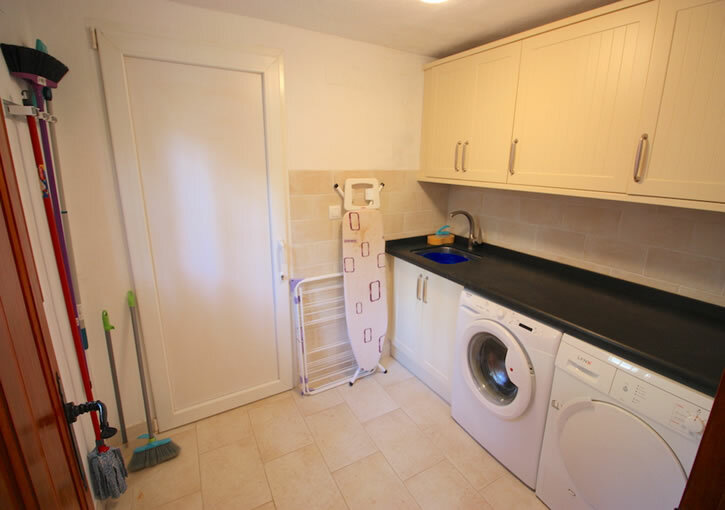 The property is in very good condition throughout and immaculately presented. 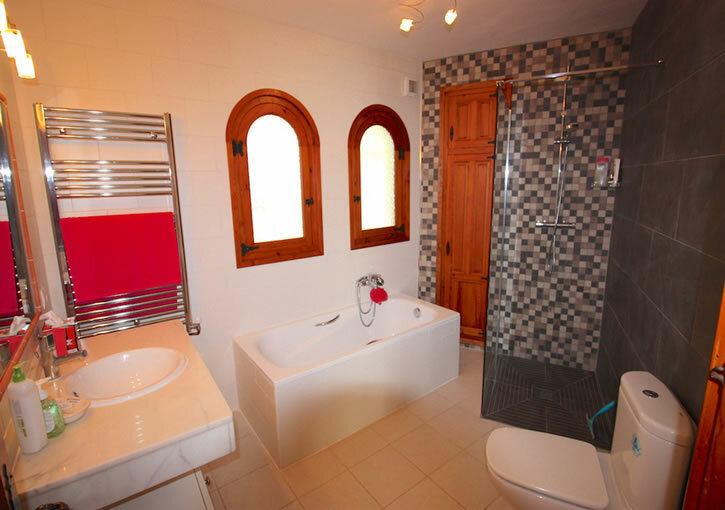 Furthermore it is equipped with gas central heating via radiators (large gas tank in garden) and the high quality furnishings are by negotiation. 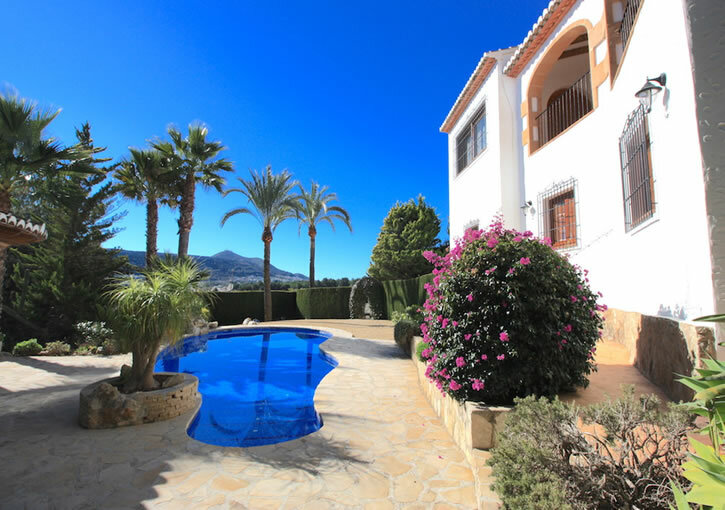 Externally the pool terrace is very private with an 11m x 5.5m swimming pool with self clean system, surrounding terraces and landscaped garden area. 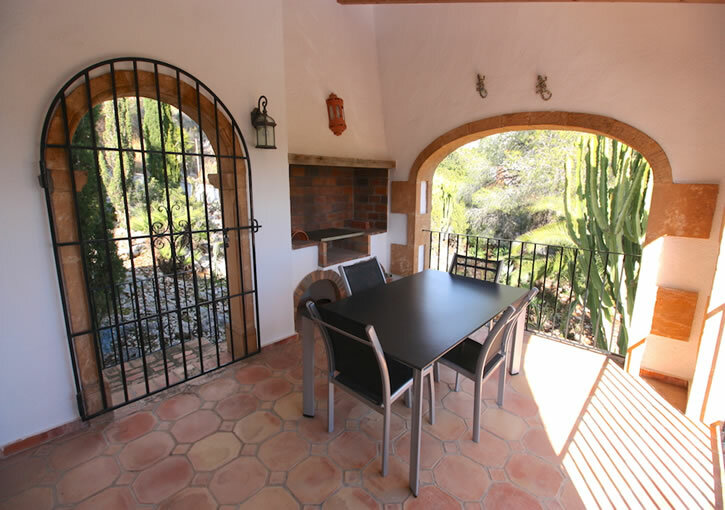 A nice summer kitchen equipped to enjoy the outside lifestyle and peace and tranquility that this villa offers. 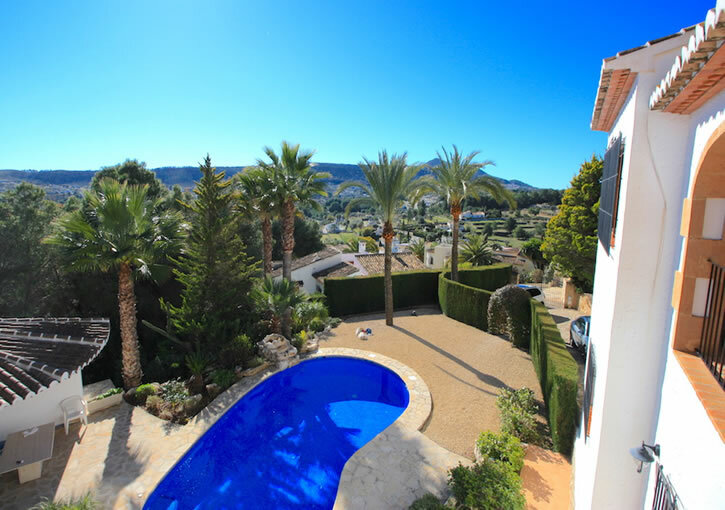 The plot of 1315m2 is very low maintenance set on an incline with au natural Mediterranean planting and automatic watering system.